This article is about the children's book author. For the radio actress, see Gertrude Warner. Warner was born on April 16, 1890, in Putnam, Connecticut, to Edgar Morris Warner and Jane Elizabeth (Carpenter) Warner. Her family included an older sister, Frances, and a younger brother, John. Her middle name of Chandler came from her mother's ancestors, the Chandlers, who had settled in nearby Woodstock, CT in 1686. Her father Edgar Warner had graduated from Harvard Law School in 1872 and practiced law in Putnam, CT. The Warners’ house on Main Street was located across from the railroad station. From the age of five, Warner dreamed of being an author, and began writing in ten-cent blank books as soon as she was able to hold a pencil. Her first book was an imitation of Florence Kate Upton's Golliwog stories and was titled Golliwog at the Zoo. It "consisted of verses illustrated with watercolors of the two Dutch clocks and the Golliwag." Warner presented this book to her grandfather, and every Christmas afterwards, she would give him a hand-made book as a present. While growing up, Warner loved to read, and her favorite book was Alice's Adventures in Wonderland. Being in a musical family, she was predisposed to play an instrument; in her case, she chose the cello, and her father bought her a cello kit at a young age. However, because of her frequent illnesses, Warner never finished high school. After leaving in her sophomore year, she learned from a tutor and finished her secondary education. 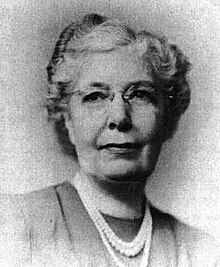 In 1918, while she was teaching Sunday School, Warner was called to teach first grade, mainly because male teachers were being called to serve in World War I. Warner continued teaching as a grade school teacher in Putnam, CT from 1918-1950. Also during this time, she returned to school for education courses at Yale University summer school. Warner was a lover of nature. While growing up, she had butterfly and moth collections, pressed wildflowers, learned of all the birds in her area, and kept a garden. She used these interests in teaching her grade school students, and also used nature themes in her books. For instance, in the second book of The Boxcar Children (Surprise Island), the Alden children make a nature museum from the flowers, shells and seaweed they have collected and the shapes of birds they have observed. One of her students recalled the wildflower and stone-gathering contests that Warner sponsored when she was a teacher. As well as her books in The Boxcar Children series, Warner wrote many other books for children, including The World in a Barn (1927), Windows into Alaska (1928), The World on a Farm (1931) and Peter Piper, Missionary Parakeet (1967). For adults she wrote Life's Minor Collisions and Pleasures and Palaces with her essayist sister Frances Warner. Warner never married. She lived in her parents home for almost forty years, then moved to her grandmother's house. In 1962 she moved to a brown-shingled house, and lived there with her companion, a retired nurse. In her later life, before she died at age 89, Warner became a volunteer for the American Red Cross, the Connecticut Cancer Society and other charitable organizations. She is buried in Grove Street Cemetery, Putnam, Connecticut. "I had to stay at home from school because of an attack of bronchitis. Having written a series of eight books to order for a religious organization, I decided to write a book just to suit myself. What would I like to do? Well, I would like to live in a freight car, or a caboose. I would hang my wash out on the little back piazza and cook my stew on the little rusty stove found in the caboose." This original version of The Boxcar Children was published by Rand McNally and Company in 1924. It included 4 color illustrations by Dorothy Lake Gregory. In 1942, Warner rewrote the book with a prescribed vocabulary of six hundred words and a text of about 15,000 words, so that it could be used as a children's school reader. This edition featured numerous black-and-white silhouette illustrations by L. Kate Deal. Warner continued writing other things, but did not continue with The Boxcar Children series until her retirement from teaching. The second book in the series, Surprise Island, was published in 1949. Warner once acknowledged that The Boxcar Children was criticized for depicting children with little parental supervision; her critics thought that this would encourage child rebellion. Her response was, however, that the children liked it for that very reason. In her books, Warner "liked to stress the Aldens' independence and resourcefulness and their solid New England devotion to using up and making do." Today, Albert Whitman & Company publishes the extremely popular series of Warner's original 19 stories. Other authors have contributed to the series, adding approximately 150 books to The Boxcar Children series. On July 3, 2004, the Gertrude Chandler Warner Boxcar Children Museum opened in Putnam, Connecticut. It is located across the street from Warner's childhood home and is housed in an authentic 1920s New Haven R.R. boxcar. The museum is dedicated to Warner's life and work, and includes original signed books, photos and artifacts from her life and career as a teacher in Putman. Included is the desk at which a 9-year-old Warner wrote her first story titled Golliwog at the Zoo. There is also a recreation of the living space created by the Aldens — the Boxcar Children themselves. ^ Mary Ellen Ellsworth, Gertrude Chandler Warner and The Boxcar Children, Chicago: Albert Whitman & Co., 2013, p. 8. ^ a b c "Bios" (short biographies of Warner and five fictional characters). The Boxcar Children (boxcarchildren.com). Albert Whitman & Company. Retrieved 2015-10-30. ^ a b c d e f g h i Article on Warner in Something About the Author, Volume 9, ed. Anne Commire, Detroit: Gale Research, 1976, pp. 195–96. 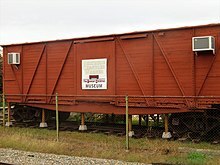 ^ a b "The Boxcar Children: A Museum Caper", Gail Braccidiferro, The New York Times, June 20, 2004. ^ Obituary of Warner in Something About the Author, Volume 73, Gale Research, 1993, p. 228. ^ Jill C. Wheeler, Gertrude Chandler Warner, Abdo Publishing Co., 1995, p. 18. ^ The original version is available on www.gutenberg.org. ^ This quote taken from the short biography on Warner available in every volume of The Boxcar Children series. Ellsworth, Mary Ellen; DeJohn, Marie (1997). Gertrude Chandler Warner and the Boxcar Children. A. Whitman. ISBN 9780807528372. OCLC 35096090. Wheeler, Jill C (2005). Gertrude Chandler Warner. Abdo Pub. ISBN 9781591976097. OCLC 54372781. Full-Text of the original 1924 version of The Box-Car Children on Gutenberg.org. PDF version of the original 1924 version of The Box-Car Children on Archive.org. Life's Minor Collisions written with Frances Warner.